Rita Ora slayed it on this sportmax fall 2014 black drape top, and a black, red and white paneled slit skirt. 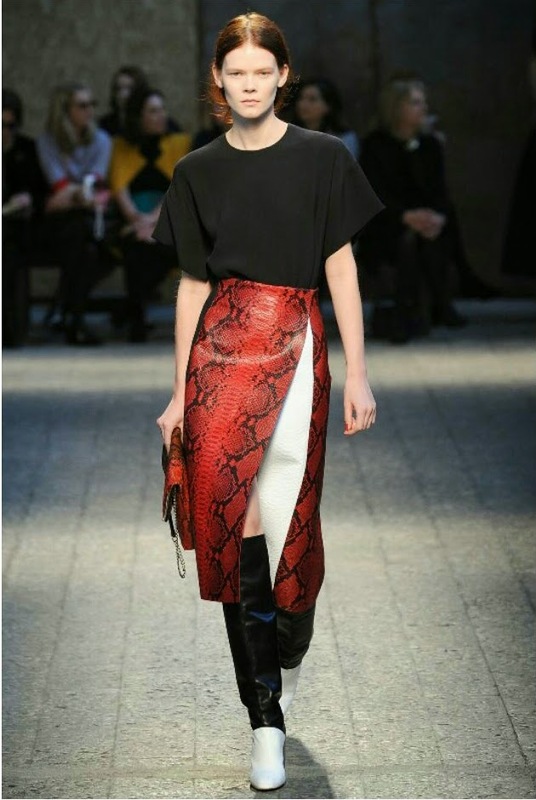 The Sportmax fall 2014 Model was sported on the runway wearing the same outfit,but paired with matching python clutch and knee-lenght two-tone boots. Who is Hot here...Rita or the Model?